"It is incredibly unlikely she'd have been able to have hopped up herself." Rescuers are pretty sure Lily the rabbit hasn't been hiding some extraordinary vertical leaping ability - but there's still plenty of mystery surrounding her recent rooftop adventure. 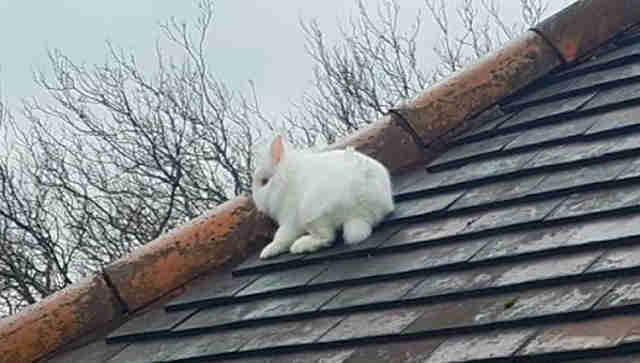 Animal welfare officers from the RSPCA were alerted to the snow-white rabbit's unlikely predicament on Monday, after a member of the public noticed her hopping around on the roof of a home in Liverpool, England. 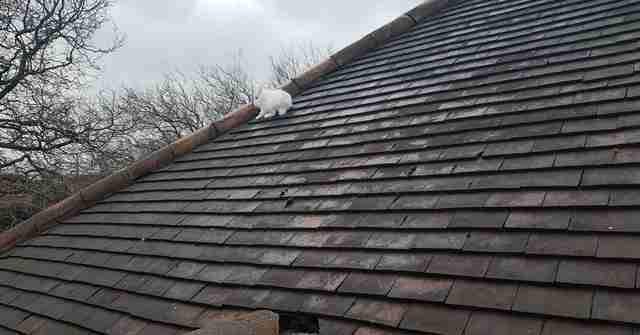 Fortunately, with the help of the local fire rescue service, they were able to deliver the big-eared animal to safety, but important questions still remained - namely, where did she come from, and how did she get up on the roof in the first place? Lily, of course, wasn't talking. 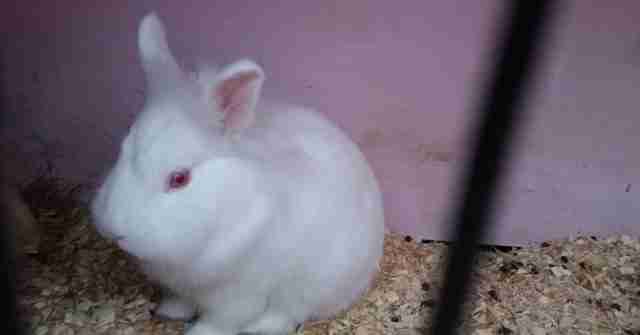 "We had two theories - that the rabbit had been picked up by a bird from a garden and dropped on the roof, or that someone had thrown her up there," the RSPCA's Matt Brown said in a release. "We got her to a vet's and thankfully she had no injuries. However, we were still very confused about how she got up there as it is incredibly unlikely she'd have been able to have hopped up herself," Brown said. "We had no idea where she came from either - we knocked on doors on the street but we had no luck in finding her owner." It wasn't long before the question of Lily's origin was answered, at least. Rescuers caught wind of a post on Facebook from Julie Galway, Lily's owner, who lives down the street from where she was found. Turns out, earlier that morning Galway discovered her garden gate and rabbit hutches had been left open under mysterious circumstances - and that Lily was missing. Whatever the truth may be, however, what matters most is that she's now safe and sound. "She's definitely had an adventure," Galway said. 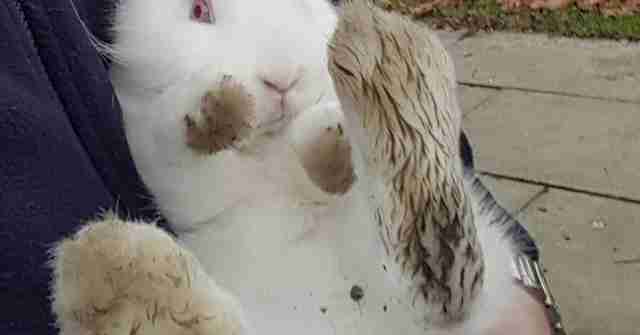 "We'll never know for certain how she ended up on the roof but thankfully she is fine and is back relaxing in her hutch."